LOS ANGELES—Buzzing with anticipation amid rumors surrounding the HBO show’s long-awaited finale, Game of Thrones fans nationwide expressed their excitement Monday after learning that the series would finally be over. “This is awesome. 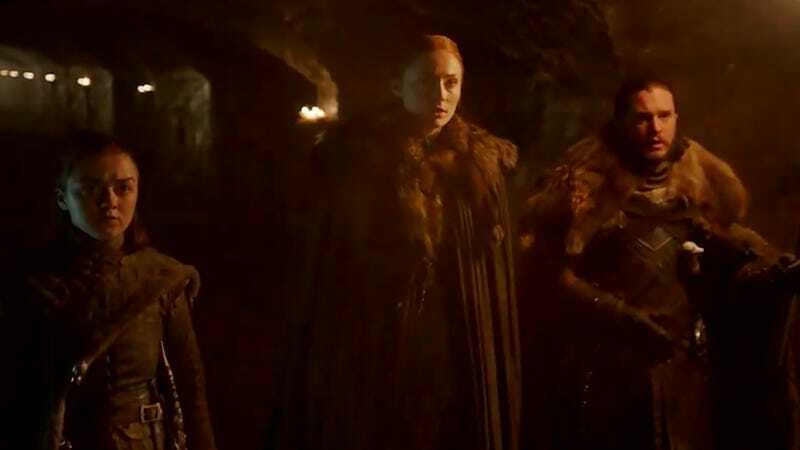 I’ve been looking forward to this ever since season one,” said fan Benjamin O’Callaghan, 31, who, despite hearing plenty of speculation on various Thrones forums and message boards, had remained hopeful that the series would eventually conclude. “The show has thrown a lot at us over the past eight years, so I’m usually just along for the ride—but they’ve been hinting about this for so long that I’m pumped to know that it’s finally happening. I just can’t wait to see the screen go black and let it sink in that I’ll never have to watch the show again.” At press time, O’Callaghan noted that he hadn’t been this excited about a show finally going off the air since the finale of The Sopranos.